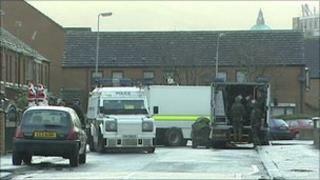 A pipe bomb has been found at a house in south Belfast. The device was found in the garden of the house in Friendly Street. The alert started at about 0900 GMT on Thursday. After examining it, Army bomb experts declared it a "viable device". The device was removed and the alert is now over. Police have appealed for anyone who witnessed any suspicious activity in the area to contact them.